Josh is a personal trainer at Goodlife Health Clubs and has been training for one year in competitive swimming for Queensland Masters Events. Josh is currently focusing on swimming (and gym!) so his physique is strong and athletic, so he was also looking for a ‘Men’s Health’ / sportswear look. 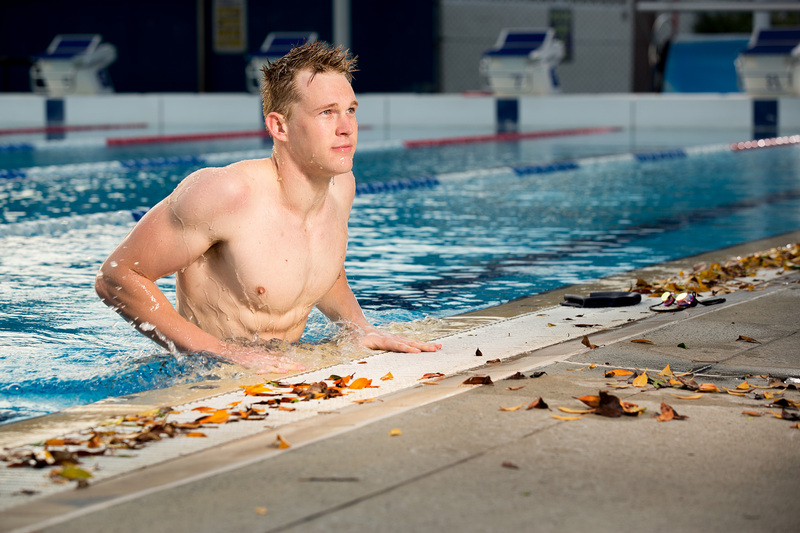 Our location for the shoot was Josh’s training grounds (Pizzey Park Pool), where he trains three to four days a week. We experimented with many different looks going for posed, and natural shots.